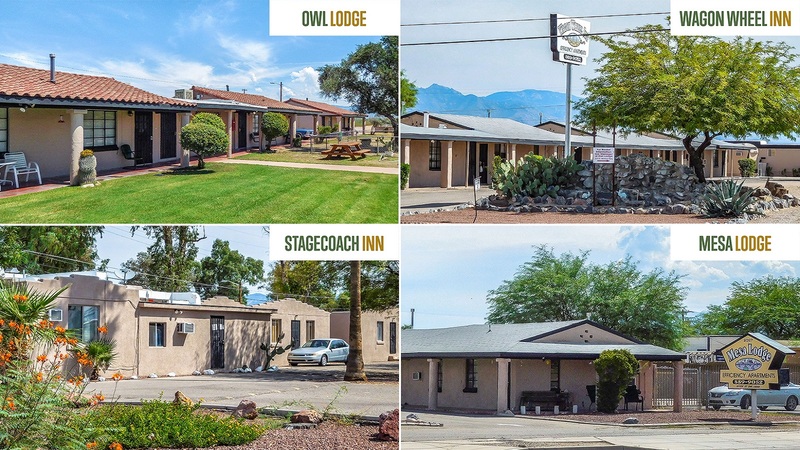 Tucson, AZ – September 27, 2017 – ABI Multifamily, the Western US's leading multifamily brokerage and advisory services firm, is pleased to announce the $1,347,500 | $24,500 Per Unit sale of the Tucson 55 Portfolio, comprised of (4) separate converted motel-to-apartment communities off Benson Hwy in Tucson, AZ. Built between 1948 to 1976, all properties are of single story, frame and stucco construction. The properties feature a good mix of sleeping rooms, studios, one-, two-, and three-bedroom unit types with an average adjusted size of 531 square feet. All units are furnished with all utilities paid and rented on a month-to-month basis. "The Tucson 55 portfolio features well maintained assets located along Tucson's heavily trafficked Benson Hwy. Additionally, the properties are less than a few miles from the University of Arizona, Downtown Tucson and the airport," states Lance Parsons, Senior Vice President at ABI. "The Buyer was looking for a solid performing portfolio in a good location which this provides at a CAP rate above 9%." ABI Multifamily's Tucson office led by Lance Parsons, CCIM represented both the Seller and Buyer in this transaction.